Syllabus of the Online Course (Subject): African Continental Free-Trade Area (CFTA). 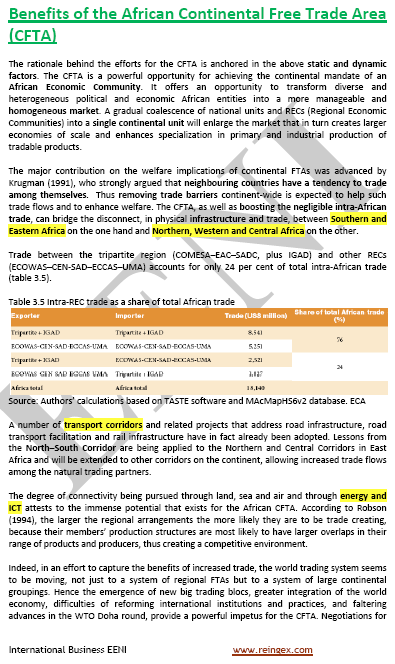 Why Africa needs a Continental Free-Trade Area? Description of the Online Course: African Continental Free-Trade Area. In 1980 was adopted the Lagos Plan and in 1991 the Abuja Treaty with the aim of creating African Economic Community in six phases in thirty-four years, where the Regional Economic Communities (REC) should play a fundamental role. In 2000 was set-up the African Union. However, today, the vision of a “Pan-African Market Integration” has not achieved. 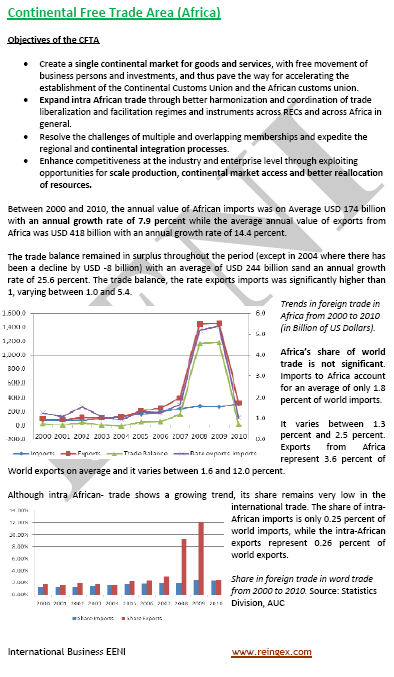 By example, the intra-African trade represents only 10%. 66% of the African nations are limiting market access conditions, and protectionism is still predominant in the Government policies, mainly in the Agriculture sector. In 2012, the African Union announced the Action Plan for Boosting Intra-African Trade with the aim to boost intra-African trade by 35 billion dollars every year (mainly agriculture and industrial products) and reducing African imports from the world by 10 billion dollars. The Tripartite FTA or OHADA are excellent examples of the benefits of the future African Continental Free-Trade Area (CFTA). 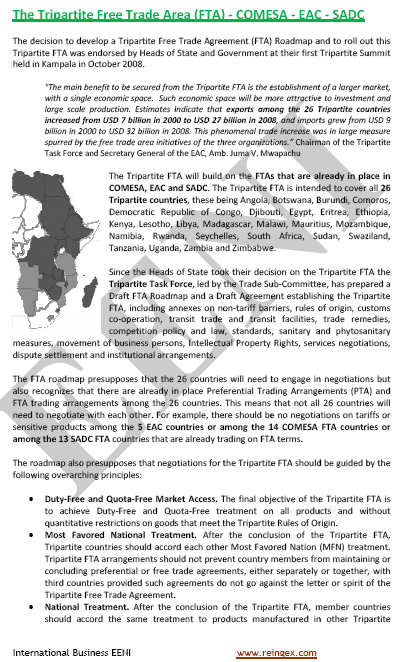 Moreover, finally, the merger of these two groups into the African Continental Free-Trade Area (CFTA).